560mm deep x 465mm seat height x 1400mm back height x required length(s). Typically 4 weeks from order. Can vary depending on size of order. 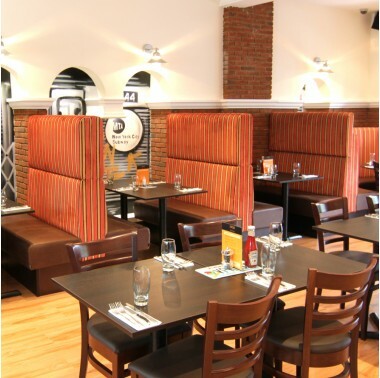 Grand Back Booths make a statement of style and sophistication like no other. As well as looking great, the high backs provide even more privacy than our standard-height backs creating an intimate atmosphere that your customers are sure to love. 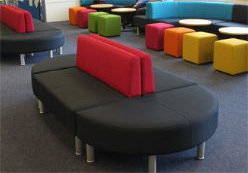 All of our seating is designed and manufactured in the UK, so we have no problem building to custom specifications, just get in touch with us. As standard, our Grand Back booths are 560mm deep x 465mm seat height x 1400mm back height x required length. To request a quote, use the 'Add to Quote' button below after selecting a faux leather range and colour below. Don't worry too much if you haven't already decided on colours as this doesn't affect the price. As long as you provide us with as much information as you can on your size and style requirements we'll be able to offer you a quote. Grand Back Booths make a statement of style and sophistication like no other. As well as looking great, the high backs provide even more privacy than our standard-height backs creating an intimate atmosphere that your customers are sure to love. All of our seating is designed and manufactured in the UK, so we have no problem building to custom specifications, just get in touch with us. 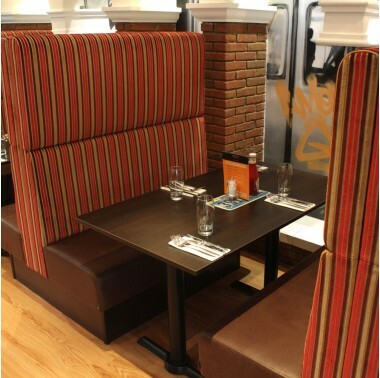 As standard, our Grand Back booths are 560mm deep x 465mm seat height x 1400mm back height x required length. To request a quote, use the 'Add to Quote' button below after selecting a faux leather range and colour below. Don't worry too much if you haven't already decided on colours as this doesn't affect the price. As long as you provide us with as much information as you can on your size and style requirements we'll be able to offer you a quote. 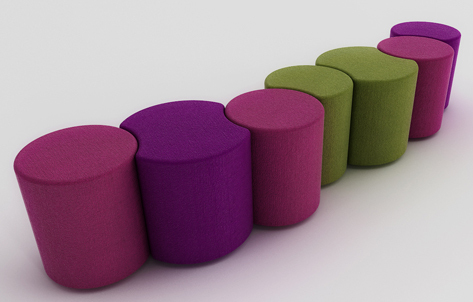 * You can select samples from 3 fabric ranges with a choice of up to 6 colours within each. If you require more samples, please call us on 0870 112 5117.